Jeffrey Mangahis was dialed in from long range last week Monday. The 5-foot-5 senior point guard hit a season-best seven 3-pointers and finished with 25 points to help his Lanakila Baptist boys basketball team to a 35-31 win over Island Pacific on Jan. 7. That performance came two days after he splashed five treys in a 36-34 win over Assets. 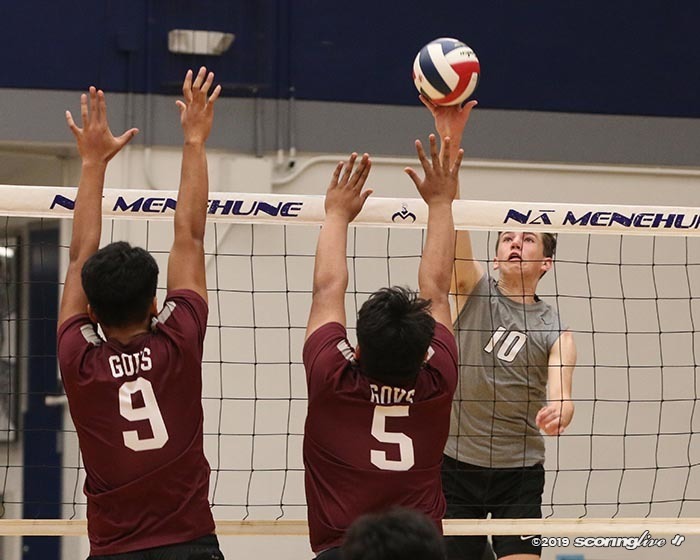 "He's been hot and it carried over from that last game," Warriors coach Richard Bautista said of Mangahis, a four-year varsity player and starter since his sophomore season. Despite scoring all but 10 of his team's 35 points against the Voyagers, Mangahis still managed to collect a few assists in the win. "I think he was being cerebral, knowing the balance of when to involve your teammates and when to take over the game," Bautista said. "When he's in assist mode, that's awesome to watch, too. He dribbles to penetrate and dishes the ball off to wide-open shots for the centers and forwards." Bautista, who has been with the program for 10 years, served as an assistant for the past two seasons before taking over as head coach this year. He is appreciative of the resolve that Mangahis, one of five seniors on the team, brings on a daily basis. "He has a toughness about him and he wants the ball in the moment. He's not a great ball handler, but he's decent and he can get to the basket when he wants to get to the basket," Bautista said. "He's aggressive, he has a good 3-point shot and a good mid-range shot." Mangahis scored 19 points in last Wednesday's 38-37 win over Christian Academy and tied his season-high with 25 points in Monday's 48-43 loss at Hawaiian Mission. His 17.9-points per game average is tops among Division III players in the Interscholastic League of Honolulu. "We expect low-scoring games, so he usually leads the team in scoring,but the focus for everybody is defense — that's what we started our team on," Bautista said. "If we make more stops than scores, we'll win the game." 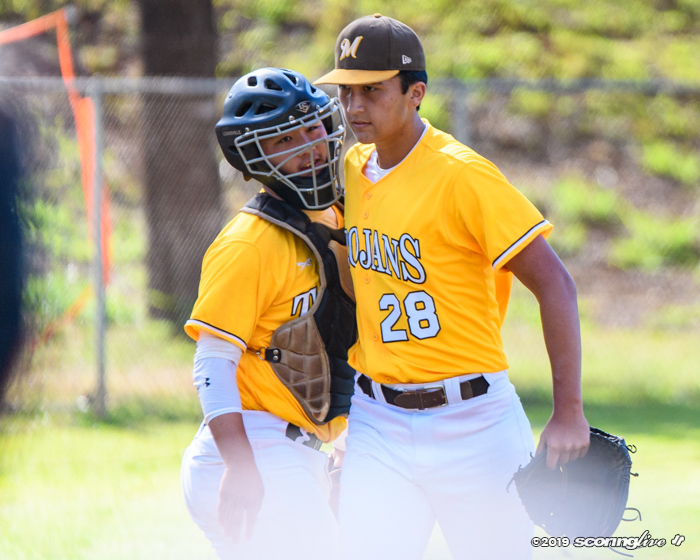 Bautista said embracing a leadership role didn't necessarily come easy for Mangahis, who earned first team All-ILH D3 honors last year. "With him being a leader was tough for him because his peers look at him as the best basketball player and a team captain, (but) what he had to learn was how to work with his teammates," Bautista said. "When he first got the position, he said to me, ‘no one's listening to me.' I told him ‘you gotta win them over,' and he learned throughout the process how to involve and trust his teammates. I told him ‘you gotta trust. Defense ain't gonna work with just one person. We're not gonna win the game with just one person; we've gotta make stops to win the game,' and he's learned to understand that." But for Bautista, what he's trying to impart in his Warriors goes beyond the hardwood. "We try to link everything back to life lessons," he said. "For the team, the emphasis this year is on culture, so how do we build that? We build through character and I think they've responded well. I think they did well this season." Mangahis and the Warriors (6-5) wrap up their season against Assets at 6 p.m. Wednesday at Hanalani. The Waiakea girls basketball team came up with a monumental victory Thursday night. 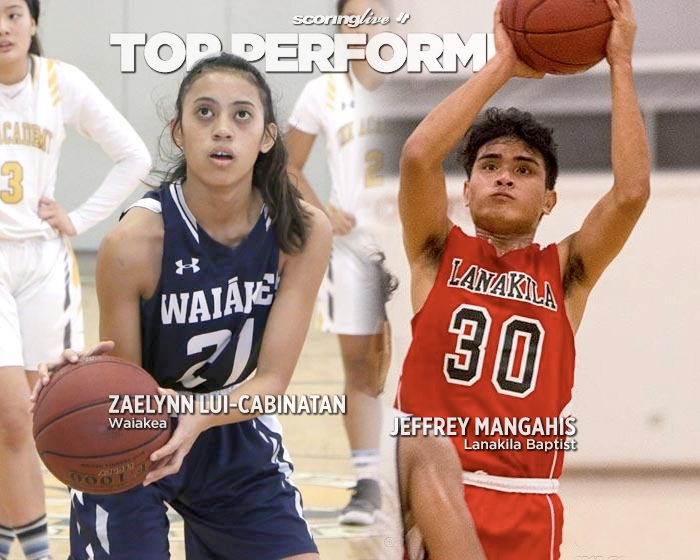 The Warriors posted an emphatic 54-25 home win over four-time defending Division I state champion Konawaena, ending the Wildcats' stranglehold on the Big Island Interscholastic Federation hoops. 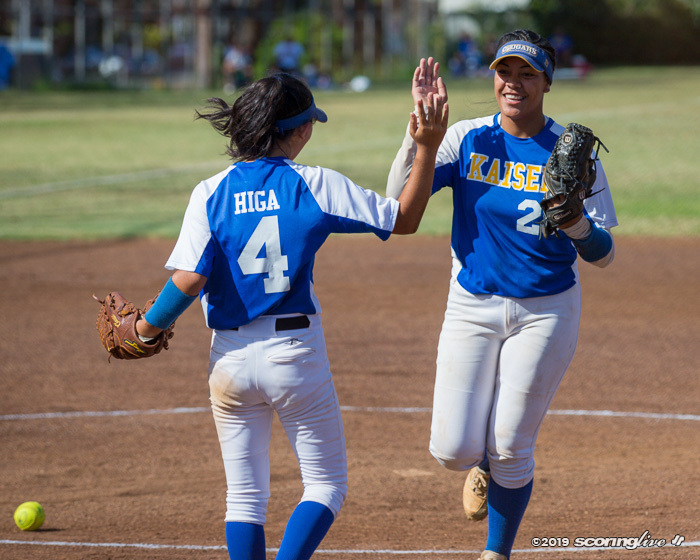 "Kona is a dynasty and they have a great bunch of young girls," Waiakea coach Brandon Kauhi said. "It was our first time playing them this year and we definitely took advantage and we finally put it together. Usually we make mistakes against the top teams, but for this game we made some outside shots and played really well defensively." 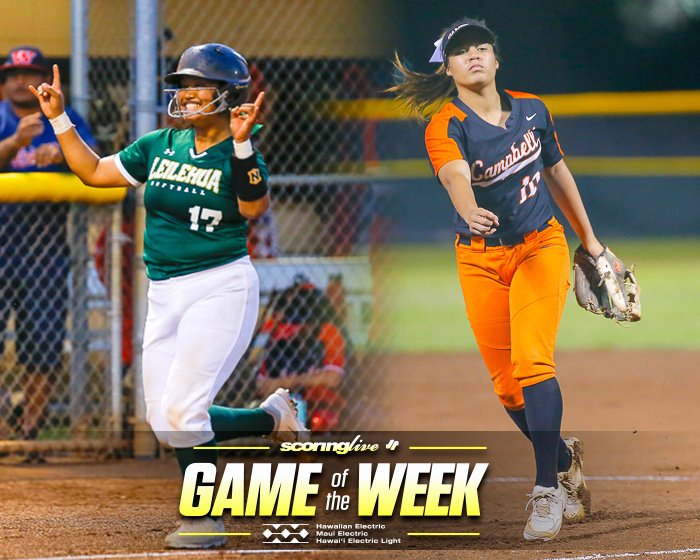 Leading the way for Waiakea was the play of Zaelynn Lui-Cabinatan. The 5-foot-4 senior scored a game-high 18 points to help bring Konawaena's 124-game league win streak to screeching halt on the Warriors' senior night. "I wouldn't say it was a turnaround game for her, but she definitely stepped up," Kauhi said of Lui-Cabinatan, a second-year varsity player. "She's usually one of the quieter ones, so to see her take leadership and lead some of her younger teammates was nice to see." 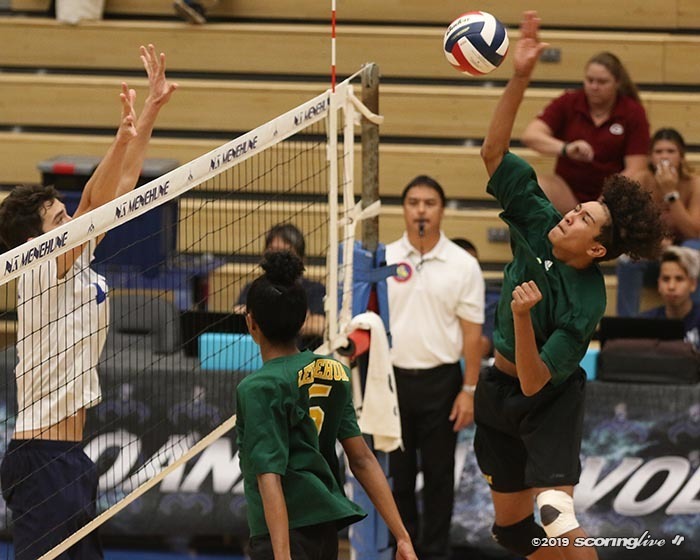 The win gave the Warriors (8-1) the inside track to earn the top seed in the BIIF tournament, which would give them a semifinal matchup against Keaau (4-4), while avoiding both Hilo (8-1) and Konawaena (8-1) until the title game. 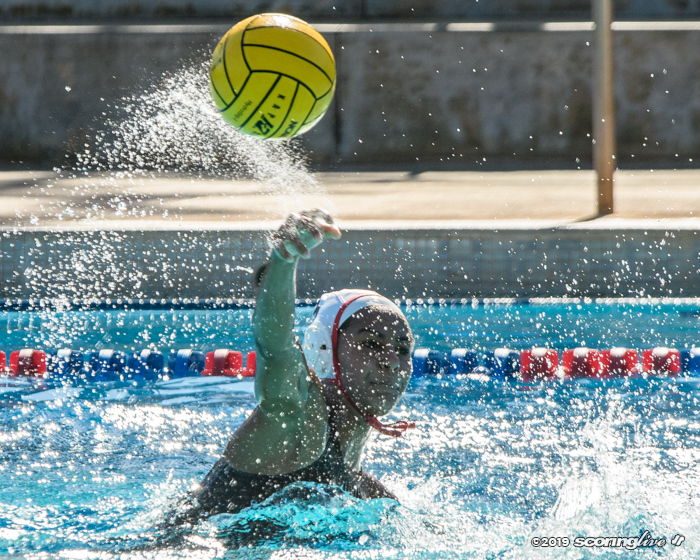 "We knew that for us to get the top seed — because the league uses point differential (in the event of a three-way tie — we had to beat Kona by 11 (points)," Kauhi said. "For us to not only beat them, but by 11 points, we just had to believe in what we were trying to do and execute." Waiakea jumped out to a 17-0 lead on the Wildcats and never looked back. "After that they could see that if could just finish what we're doing we could get that top seed, which was our goal, just to get a little easier route to get to the BIIF championship," Kauhi said. Lui-Cabinatan's role has grown from that of defensive stopper last year to more of an all-around one this season. "This year we have a few more girls that can help her out on the defensive side, but early on she kind of took control of it and she put it back on her. Since then she rose her level of play and she's taken advantage of the opportunities when she's had the chance. She's probably been our most consistent player all year," Kauhi said. Kauhi noted that Lui-Cabinatan, who can play the shooting guard or small forward positions, is a key cog in the Warriors defense. "She's the front of our trap and she usually guards one of the other team's top scorers," he said. "She's great at getting deflections. With her defense she creates offense and she finishes around the basket. She's very coachable and she understands what we're trying to do every game we're going in to." To be sure, Lui-Cabinatan has made her biggest impact on the defensive end of the floor. "She has an uncanny ability to react. She's always getting her hand on the ball and for us that's huge for our defense because it creates turnovers and starts our transition," Kauhi said. "A strength for us is where we can attack the basket, so definitely her defense goes unnoticed." Lui-Cabinatan, who is averaging 10 points per game this season, and the Warriors, who moved up to the No. 8 spot in this week's ScoringLive/Hawaiian Electric Power Rankings, wrap up the regular season at Keaau next Tuesday. Reach Kalani Takase at [email protected]. Note: Please allow at least 10-12 business days for processing and shipping of prints. 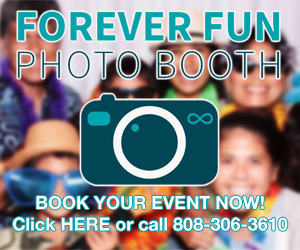 Image downloads will be delivered via a separate email containing a link once the file is prepped, typically within 2-4 business days.